YANGON, Myanmar – Democracy is slowly coming to this little-known country in Southeast Asia of more than 50 million people, and with it, so are the tourists. Isolated from the rest of the world for a half-century under a repressive military junta, Myanmar is now letting visitors explore its wondrous Buddhist pagodas, ancient archaeological sites and stately British colonial architecture. I recently spent three days in Yangon, the largest city in this country formerly known as Burma. 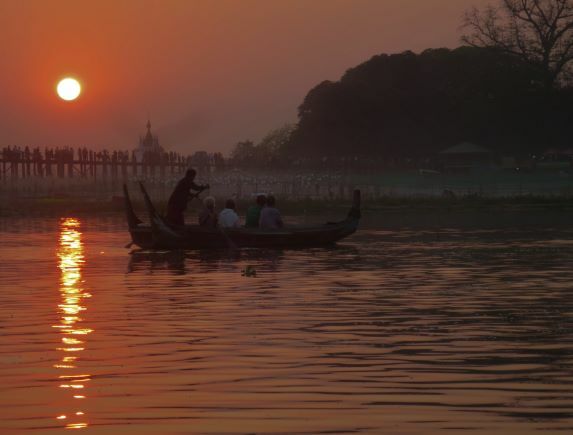 The visit to Myanmar was the highlight of an 18-day cruise called “Imperial Treasures” on the Oceania Nautica that started in Hong Kong and ended in Mumbai, with other stops in Vietnam, Thailand, Singapore and Cochin, India. All told, we sailed more than 5,000 miles. For me, the most coveted treasure on this exotic itinerary was the port call in Yangon. Within five minutes of boarding a tour bus taking the ship’s passengers on a one-hour drive from the pier to downtown Yangon, the sense of excitement among the locals was palpable. “The whole country is very happy,” our guide Khin said when discussing the country’s first democratically elected parliament, which assumed power in February. The National League for Democracy (NLD), led by Nobel Peace Prize laureate and national hero Aung San Suu Kyi, won a landslide victory and now controls the parliament. However, the military hasn’t completely relinquished its grip on power and Myanmar still faces a long road to full democracy. The new political era has led to a dramatic jump in tourism. According to government statistics, the number of international visitors has nearly quadrupled in the last five years to more than 3 million travelers in 2014. 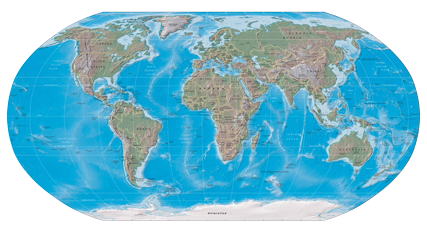 Projections are that foreign arrivals will reach 7.5 million by 2020. In that sense, Myanmar evokes comparisons to Cuba. If you want to visit before the country becomes overrun with tourists and loses some of its character, now is the time to go. Yangon, called Rangoon under British rule, is a congested city of more than 5 million people who seem welcoming to the relatively new influx of visitors – and the foreign currency they are bringing to this impoverished nation. 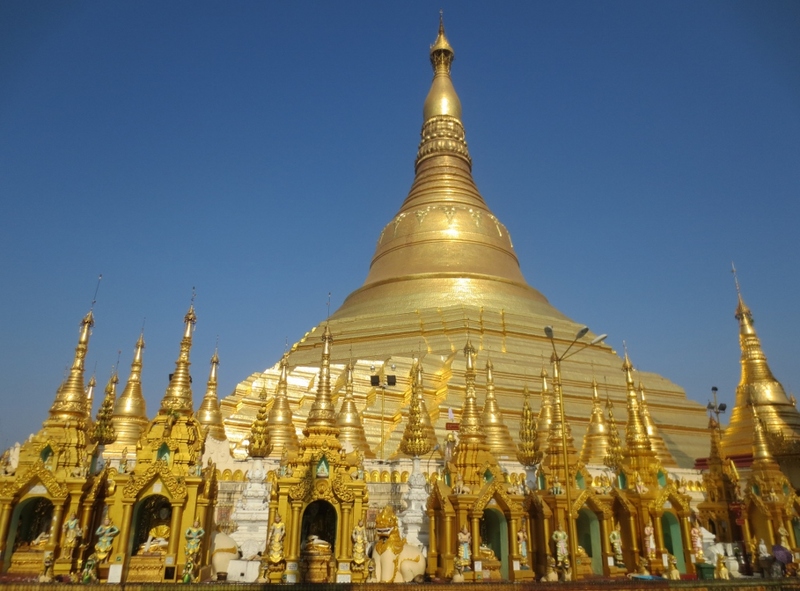 The city’s must-see attraction is the spectacular 2,500 year-old Shwedagon Pagoda, a monument to Buddhism that was built on a hilltop in the center of Yangon. 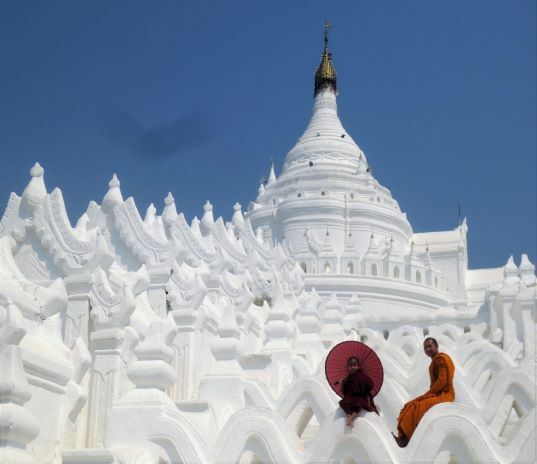 Its glorious stupas, shrines and sculptures sprawl over 12 acres. The pagoda’s glistening center dome is covered with thousands of priceless gold plates and other precious gems. According to Buddhist tradition, visitors are asked to remove their shoes and socks before entering the Shwedagon complex. In the mid-afternoon, when temperatures soar past 100, strolling barefoot on the hot pavement makes exploring uncomfortable, so it’s best to go early or late in the day. 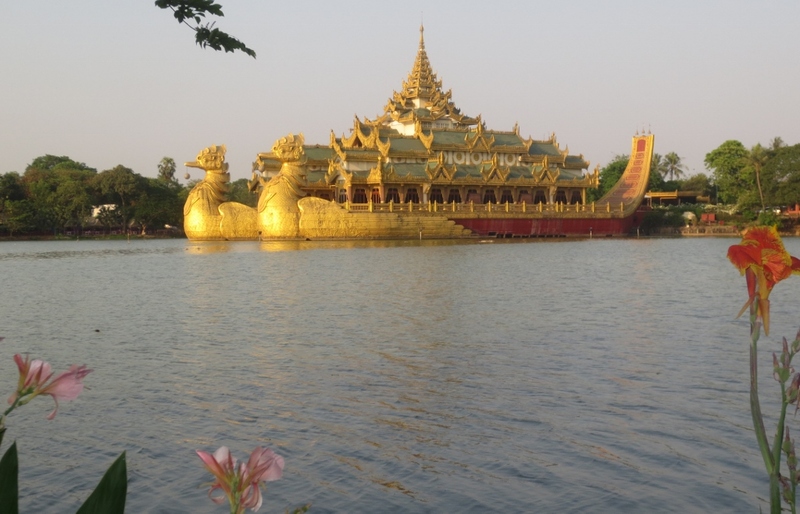 From Shwedagon, it’s a 15-minute walk to the surrealistic Karaweik Royal Barge, a floating palace on the eastern edge of Royal Kandawgyi Lake. Built in the shape of the mythical karaweik bird, the barge is a stunning example of traditional Myanmar architecture. It is used as a restaurant and also hosts cultural performances. Interested in the country’s political landscape, I visited the home of the 70-year-old Suu Kyi, where she still lives and once spent 15 years under house arrest for her opposition to the government. Even though the inside of the home is closed to visitors, it is viewed by many Myanmar people as a shrine. 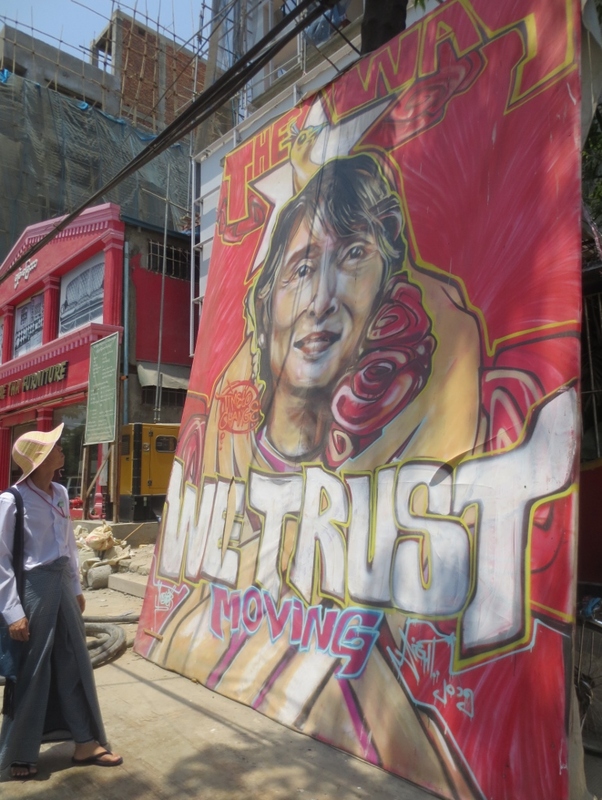 A large portrait outside the complex honors Suu Kyi’s father, who was the driving force behind the country’s independence from the United Kingdom in 1948. Nearby, I also visited the headquarters of the National League for Democracy, which sells Aung San Suu Kyi merchandise such as posters, calendars and books to raise money for the pro-democracy movement. For $2 (U.S. dollars are widely accepted in Yangon), I bought an NLD hat. About 90 percent of the country’s population practice Buddhism. Oceania arranged to take us to an authentic “noviciation” ceremony, in which three six-year-old boys were inducted as novice Buddhist monks at a Yangon monastery. After having their heads shaved, the boys donned their purple robes for the first time. Most males in Myanmar serve as monks for at least part of their lives. 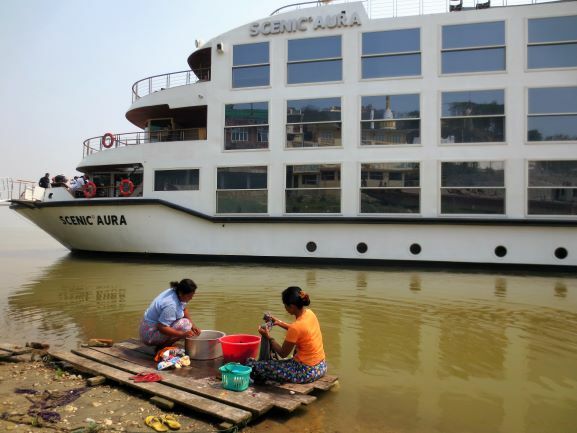 Oceania, an upscale Florida-based cruise line with a fleet of six midsize ships known for high-end cuisine and off-the-beaten-path destinations, has been calling on Myanmar since 2011. 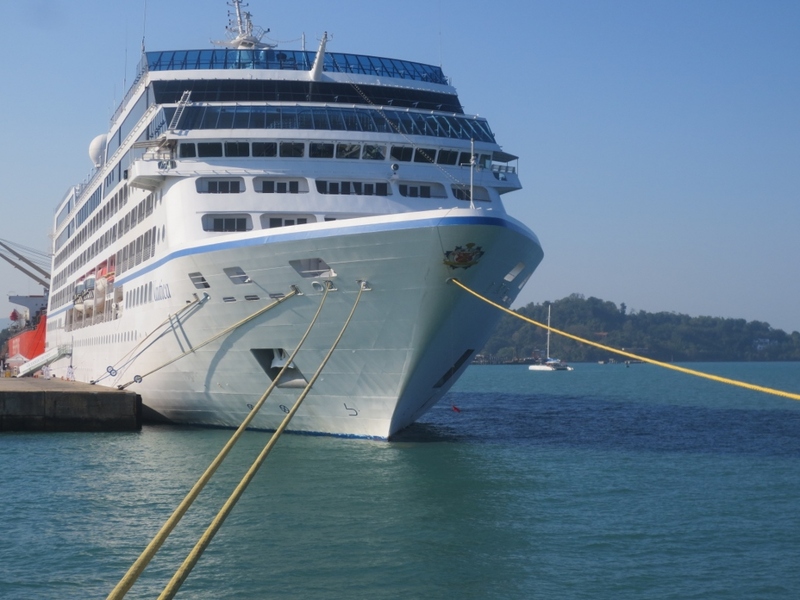 Two Oceania ships – the 684-passenger Nautica and her sister ship, the Insignia, make two-or-three day stops in Yangon several times a year. The Yangon River is only navigable by midsize and smaller vessels, which precludes the mega-ships from reaching the city. Our sailing was nearly full with 652 passengers, about 80 percent of whom were Americans and Canadians. 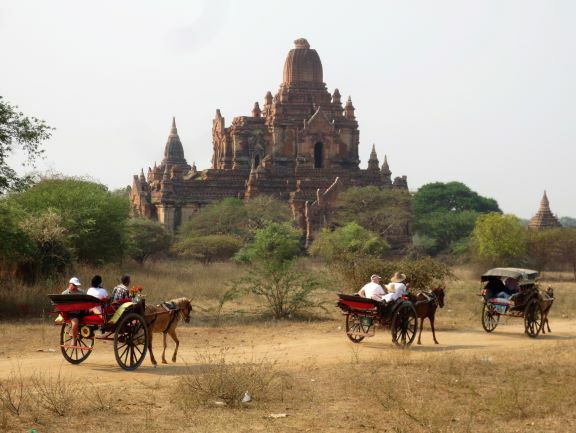 Having been closed off from the rest of the world for so long, the tourism infrastructure in Myanmar is still lacking. English isn’t widely spoken, roads are in poor condition and sanitary conditions are sometimes less than ideal. All this makes cruising an ideal way to explore Yangon, particularly for less-experienced travelers. At the end of a full day of experiencing Yangon’s hectic pace, backwater charm, emerging democracy and relatively uncrowded sites, nothing beats returning to an air-conditioned ship, a delightful meal with a glass of good wine and a clean bathroom. 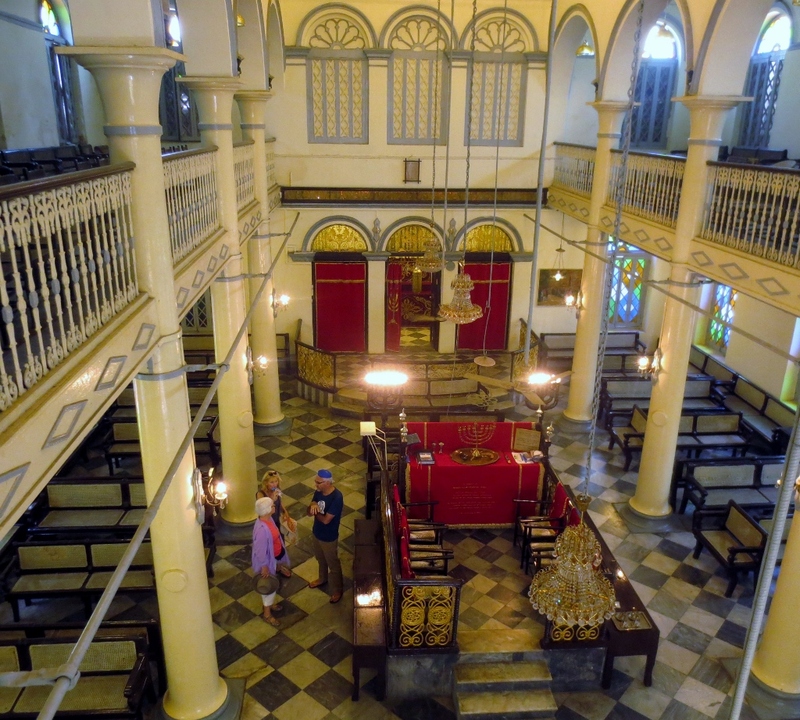 YANGON, Myanmar — At first glance, there is nothing extraordinary about the two-story synagogue nestled between paint and fabric shops on 26th Street in bustling downtown Yangon. It’s certainly not the oldest, largest or most architecturally ornate synagogue you’ll see overseas. Yet in its own way, Musmeah Yeshua is one of the most remarkable Jewish houses of worship in the world. 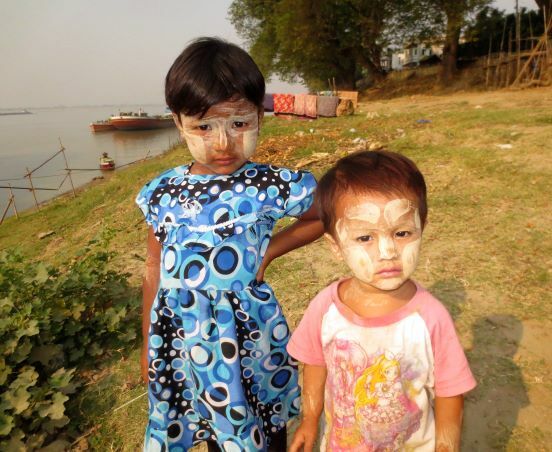 The fact that is still survives – and functions – is a testament to a determined Jewish-Burmese family that has almost single-handedly sustained Judaism in a country in which a once-thriving Jewish population has dwindled to only about 20 people. During a recent trip to Myanmar, a country in Southeast Asia formerly known as Burma, I visited Musmeah Yeshua and met with Sammy Samuels, the leader and voice of the country’s tiny Jewish community. 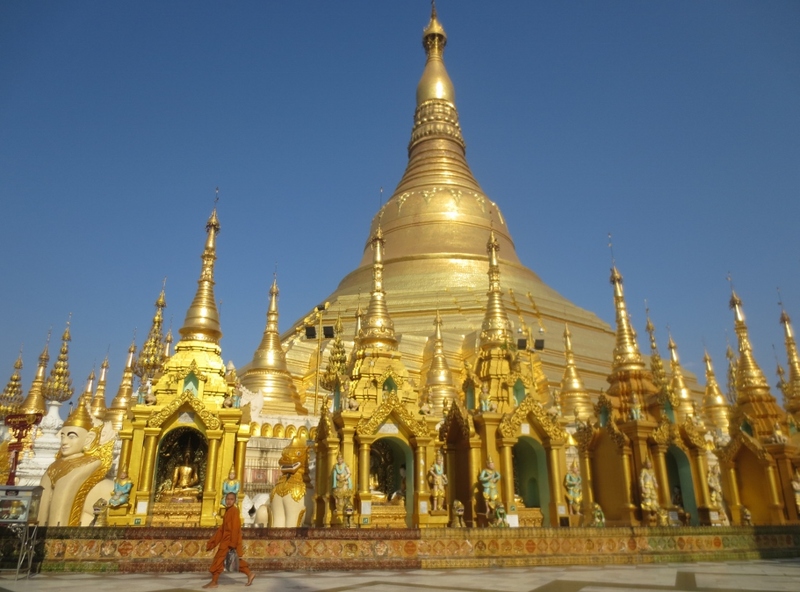 My three-day trip to Yangon was the highlight of an 18-day Asian cruise on the luxurious Oceania Nautica that began in Hong Kong, with stops in Myanmar, Vietnam, Singapore and Thailand, before ending in Mumbai, India. The Samuels family has been the caretakers of the synagogue for generations. Even though there aren’t enough Jews living in the country to sustain a synagogue, the family felt it was important to preserve the spirit of the Jewish community and give foreigners a place to pray. It was a promise Sammy willingly kept when his father, Moses, died last year. Sammy, 35, was honored to continue his father’s duties as overseer of the synagogue, which was built in 1896 for the increasing population of Iraqi and Indian Jews who immigrated to Yangon (then known as Rangoon) when it was a British colony. Built in the Sephardic tradition with the bimah located in the center of the sanctuary and a women’s balcony upstairs, the interior has been beautifully maintained. In the early 20th century, the Jewish community peaked at about 2,500 people. Many Jews left the country during the Japanese occupation of Burma during World War II, and more followed after the Burmese army assumed power in 1962. But the military government is now loosening its grip on power and democracy is coming to Myanmar. But Samuels warns that change will come slowly in a country in which the military has controlled virtually all walks of life for more than a half-century. Samuels, who has a degree in international business from Yeshiva University in New York, owns a travel agency called Myanmar Shalom Travels that has 32 employees, with offices in New York and Yangon. His company offers tours to Myanmar for both Jewish and non-Jewish tourists. The synagogue is financially sustained from proceeds generated by the travel agency as well as donations from visitors. Samuels says 40-50 tourists visit the synagogue each day, which is open 10 a.m. to 1 p.m. daily except Sundays. Most of the visitors are non-Jewish. The synagogue doesn’t have a rabbi and it’s been more than 50 years since regular services were held. Lay-led Shabbat services take place a couple of times a month during December and January, the high season for tourism in Myanmar. A rabbi – usually from the United States — is brought in to conduct services during the High Holidays. But if Samuels knows a group of Jewish visitors will be in town during the Sabbath, he makes sure they are aware they have a place to pray and enjoy the fellowship of other Jews. Musmeah Yeshua is located just down the street from a mosque and many of the businesses on the block are owned by Moslems. Samuels says the two groups have peacefully coexisted for decades. Yangon, a city of more than five-million people, is full of wondrous Buddhist temples – including the famed 2,500-year-old Shwedagon Pagoda — and stately British colonial buildings. 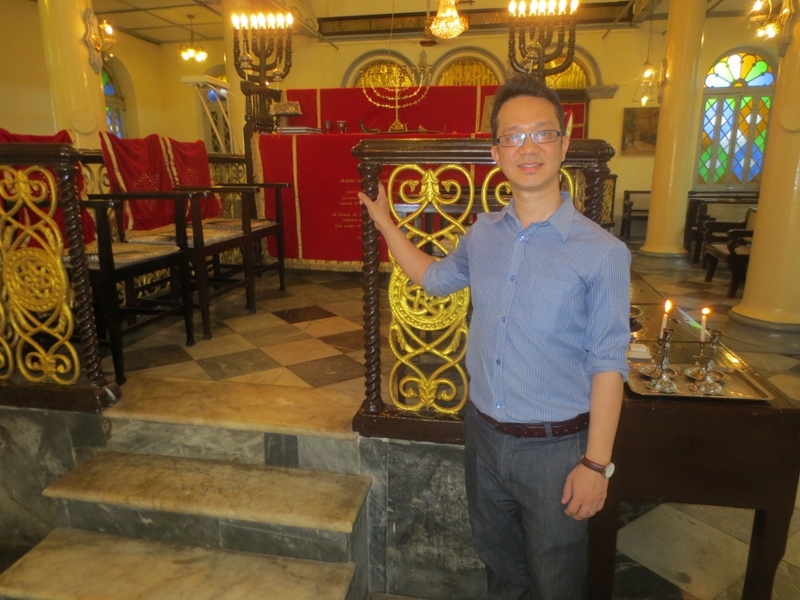 During my cruise on the Nautica, I also visited synagogues in Singapore and India. But the one in Yangon made the most lasting impression. Other tourists apparently agree that Musmeah Yeshua is worth visiting. 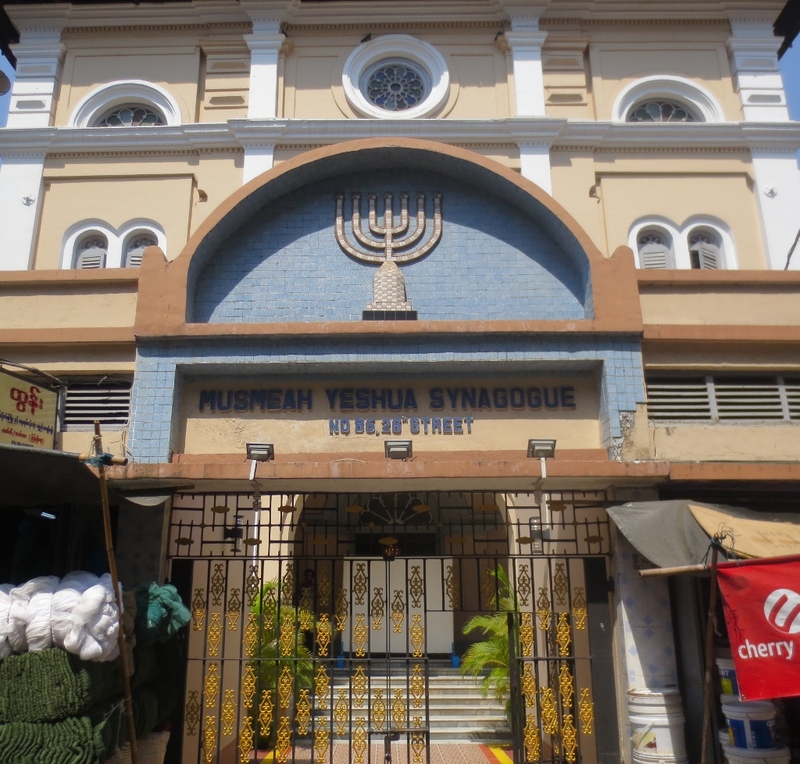 In 2013, the synagogue was voted the third-highest ranking attraction out of 41 sites in Yangon, according to TripAdvisor. Samuels summed up Musmeah Yeshua’s importance to both foreigners as well as the local Jewish community: “Who would think that in a country like Myanmar where there are so many Buddhist temples that a synagogue would exist? So it’s a very unique place.